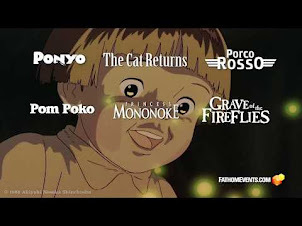 I think Ponyo should feel grateful that the fussy baby didn't get any more scenes, because he very well could have run away with the picture. This scene was very popular with audiences; that initial closeup of Baby Schnooks drew big laughs every time. If Ponyo were an American production, Baby Schnooks would definitely be spun off into his own running franchise, like that neurotic meekrat from the Ice Age series. He wouldn't even have to do anything; just send him on location and let him quietly sulk. Baby Schnooks goes to the health care debate! Baby Schnooks goes to the World Series! Baby Schnooks versus Jared the Subway Guy in a stare-down battle royale! I think we may be looking at the next Keyboard Cat, folks. Seriously, though, this is one of the great "silent" scenes in Ponyo. There's an entire conversation taking place between Ponyo and the fussy baby without a single word being spoken. Even body language is kept to a bare minimum. But in their long stares, there is a connection taking place. What are they thinking? Who knows. It's a mystery in a movie loaded with such little mysteries. This reminds me of a dream I had earlier this summer, where I was playing with a brown lab retriever, and we saw something funny. I can't remember, maybe a squirrel stumbling around or something. But the dog and I both smiled and laughed, and as we looked into one another's eyes, an almost mystical connection took place. For this brief shining moment, we knew what the other was thinking. We were meeting as equals and we never made a sound. When Ponyo and Sosuke sail away in their toy boat, the baby starts crying and, well, being fussy. Ponyo then rushes back in her Kermit the Frog form, smooshes and hugs Baby Schnooks, then hops away. The Disney dub inserts an "explanation" into this moment - "Aww, you have a cold!" - but no such lines are spoken in the Japanese soundtrack. The baby is just being fussy. I think this moment plays very differently when you see it in the original language, and I do wish Disney had resisted the tempation to rationalize everything. To me, that scene seemed to showing how different and alien Ponyo must have felt in the human world. 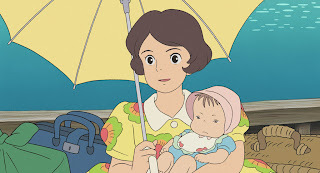 Ponyo finds herself - even in her human form - to be wholly different from the humans she yearns to live amongst - staring at the baby child she sees something she has never been and will never experience, but is common and natural to all other humans. This is a great scene because everyone can find their own interpretation. I wouldn't advise that writers overuse this strategy too much, but you need to present an element of mystery in your stories. We should encourage and cultivate a sense of wonder and curiosity. A reliance on plot and easy answers is a symptom of an uncurious or repressive culture. 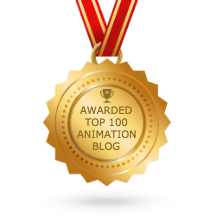 Movies should reconnect with their silent-era roots; animation, doubly so. 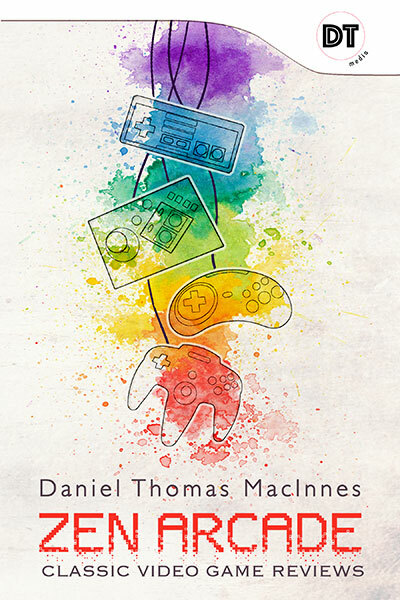 Thanks for writing, as always! Ice Age has a neurotic Saber tooth Squirrel. I've only watched Ponyo the once (the Japanese DVD) and my girlfriend's interpretation of that scene was that Ponyo had sensed that something was very wrong with the baby and it was in distress (even dying) and that Ponyo jumped back to hug the baby and use some of her magic to breath new life into the ailing baby. This is consistent with Disney's interpretation. And Kurt Vonnegut's explanation of "drama" (how we try to inject a dramatic arc into everything) - http://sivers.org/drama - is a bit sobering in this context. This is a fine interpretation. I was simply struck by how different the scene felt without the dialog. It was interesting to contemplate that the baby was fine, and Ponyo just wanted to snuggle the baby and make him smile. It's like they made a silent connection, unknown to all the others. But, hey, that's just me. There are a lot of touching moments in Ponyo, but the one that may especially resonate with Miyazaki himself is when Fujimoto shyly shakes hands with Sosuke and asks the boy to "remember him kindly." I'm sure most of you caught it sooner than I did. 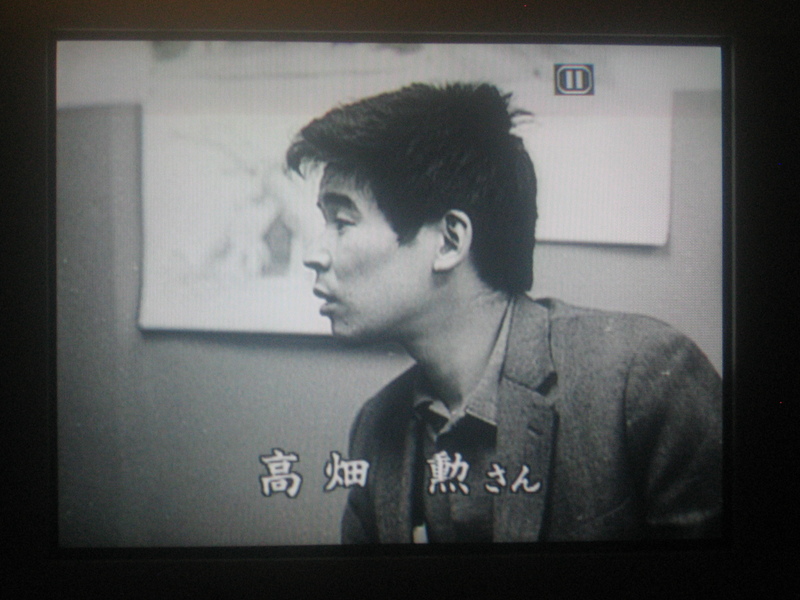 It took me a few viewings to realize that was Miyazaki talking to his own son. Toongirl, you win the game! Ding Ding Ding Ding!! That's absolutely correct. 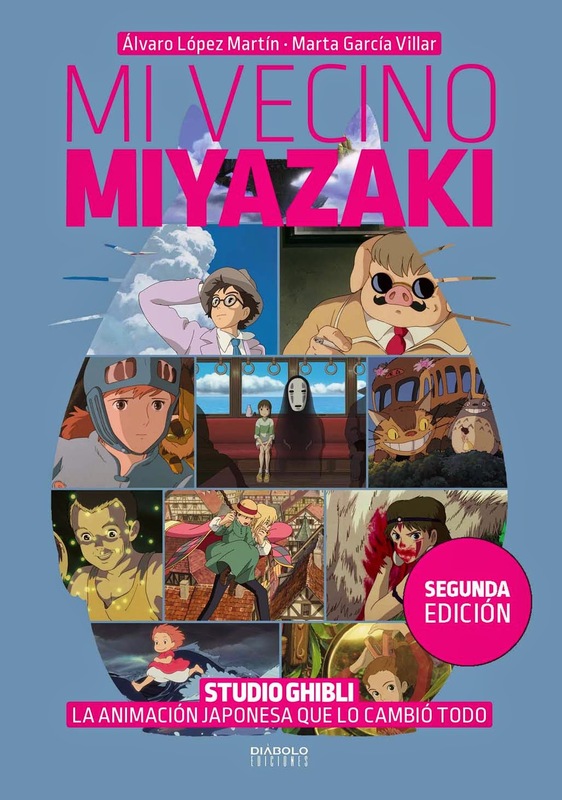 Part of Miyazaki's agenda with this story was to attempt a reconciliation with his son, Goro. The family in Ponyo is the Miyazaki clan. 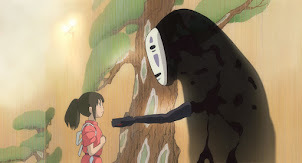 Interesting that we've had three Ghibli films in a row that revolved around the Miyazaki family, eh? I don't know if that was ever intended. Sometimes these sort of things just happen. I would expect Miyazaki-san to deny it as such. 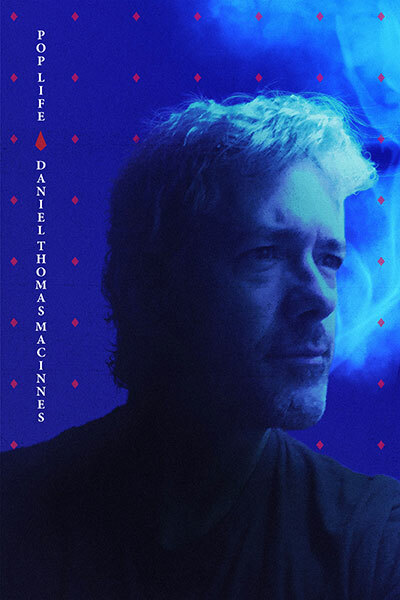 I think a lot of the more personal aspects of his life appear in his work almost instinctively. I'm not sure if much of it is consciously planned out. I have read during Ponyo's early production that Sosuke was patterned after Goro, but this was really just hinted at. 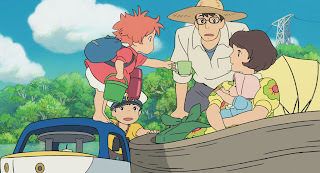 The Miyazaki's are famously stubborn, and I don't know if any reconciliation will occur between father and son. It was known that they never spoke to one another during the production of Tales From Earthsea. 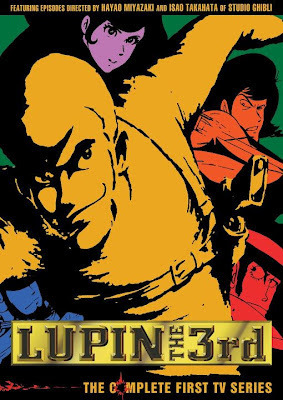 Father Miyazaki was fiercely opposed to the idea from the start, for many reasons. I think the idea of son Goro being dropped into the director's chair, like a prince, offended his work ethic. I have the impression - and this is just my own humble observations - that Father Miyazaki has exerted control over Goro's progression at the studio. 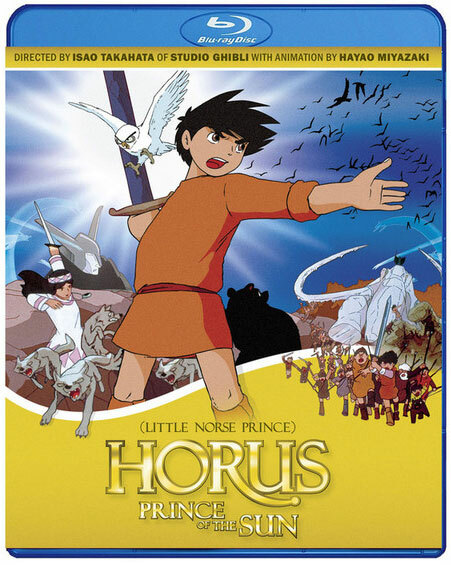 I think they all recognize that the Son is now the best hope for a successor to Studio Ghibli. But he will have to work up the ranks and earn it for himself. Miyazaki made a short statement to that effect during his trip to California. It's still a touchy subject, of course. 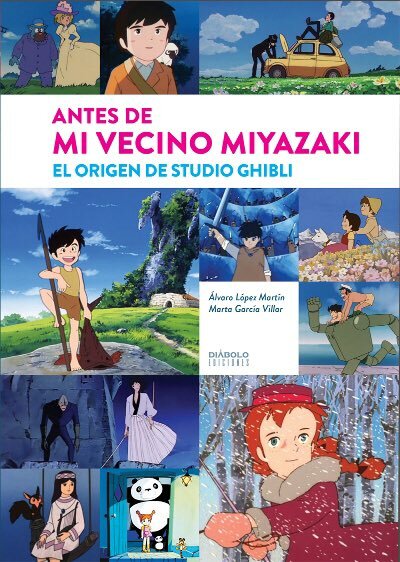 As for his movies, Miyazaki is a very personal filmmaker, and he became more so during the Ghibli era. 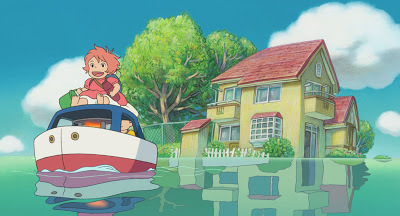 Ponyo most definitely shows Hayao Miyazaki making peace with his family, as best he can. He also wrote a couple essays about his wife in Starting Point. Both are must-reads. I'm supposed to blog about that one of these days. I like all the touching moment in this story.